Apple to release iPhone 5S and iPhone 5C today, here's our round-up on what you need to know. Hours from now, Apple is unveiling of the most-anticipated smartphone of the year – the iPhone. And considering the Cupertino giant’s launch cycle, we are looking into an iPhone with the same design but different internals – the iPhone 5S. And a budget smartphone, iPhone 5C, is also stirring the blogosphere for quite some time now. So here’s a brief round-up of the recent rumors regarding the next generation iPhones that'll be introduced later today! It is likely that the fruit company will have the same screen real estate for this year’s iPhone. This 4-inch screen will still be treated with Apple’s proprietary Retina Display branding, but there are talks that it will have a higher display resolution compared to the current 324 ppi. Under the hood, a faster A7 processor will keep things ticking over this brand new masterpiece. Initially, its optics will have a 13MP (or 12MP) rear camera with dual-LED flash will keep mobile photographers drooling over it. However, recent reports speculates that Apple will still have the same 8MP sensor but with bigger f/2.0 aperture that will keep its low-light performance on high bars. Other features include the addition of an NFC (Near Field Communication) radio, slightly juiced-up battery and a fingerprint sensor on a convex sapphire home button. Design-wise, Apple will stick to the old iPhone 5-ish design philosophy. However, this time, the fruit company will offer another color option – champagne gold. Apple is also slated to drop the 16GB configuration in favor of 128 GB internal memory for the iPhone 5S. The Cupertino-based company is also expected to release a cheaper phone called the iPhone 5C. This budget-friendly phone will have a plastic casing and a slower processor to compensate its price standpoint. It may not have SiRi, Apple’s virtual assistant and other 5S-ish aesthetics. Consequently, the price is pegged to be in the range of iPhone 4. 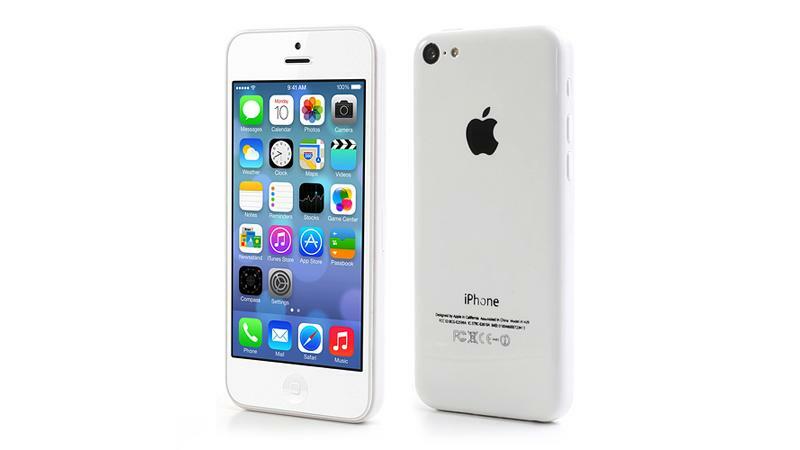 It is said to carry most of the iPhone 4S specs like 1GHz dual-core A5 chip, 8MP rear camera and 512MB of RAM. These phones will be treated with the newer version of Apple’s proprietary software called the iOS 7. This version is expected to wash off the skeuomorphic appeal of the older versions with its flat and simple design. The iOS 7 is also loaded up with impressive features and controls like the control center where you can toggle your mostly used settings like Bluetooth, WiFi, etc. Likewise, the newer OS will also bring overhauled app icons in your homescreen. Apple is also said to discontinue the production of iPhone 5 to give way to both iPhone 5S and 5C. Pinoy Metro Geek: Apple to release iPhone 5S and iPhone 5C today, here's our round-up on what you need to know.